There's no future at the newsstand for the New York Times. 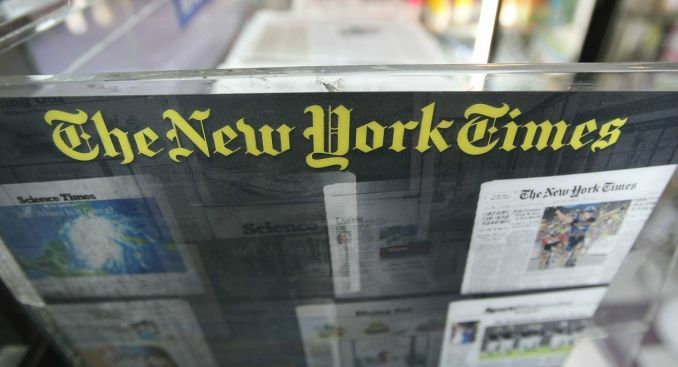 The New York Times is raising its prices for the second time in less than a year to help the newspaper offset a steep drop in advertising revenue. The newsstand price for the Times' weekday and Saturday editions will go up to $2 effective June 1, up from $1.50. The 33 percent increase comes just 11 months after the third largest U.S. daily newspaper last raised its prices. The price for the national edition of the Sunday newspaper will rise to $6, an increase of a dollar. In New York, the Times' Sunday newspaper will cost $5, also a $1 more. The company that owns the Times lost $74 million during the first quarter as its advertising revenue plummeted by 27 percent from the same time last year. Earlier this year, the Times said it was laying off 100 employees and instituting a temporary salary reduction for non-union employees.